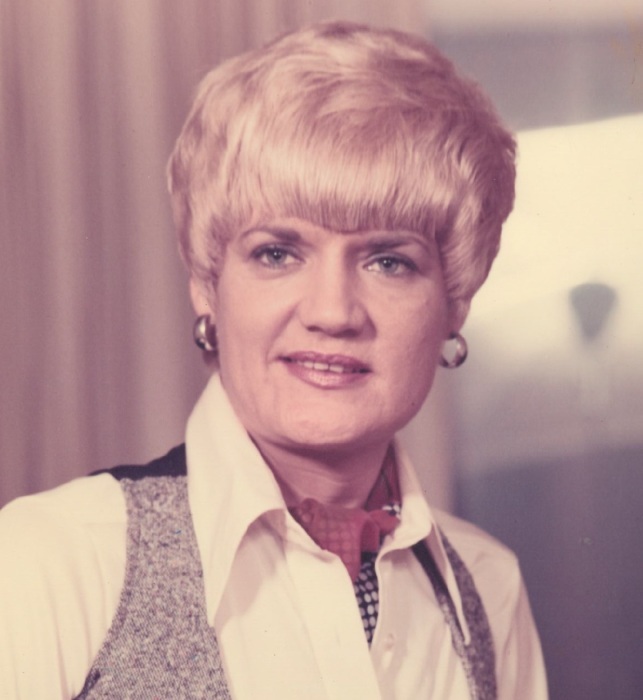 Marilyn “Ann” Hindman passed away at 7:20 p.m. on December 4, 2018 in Moore, Oklahoma. Ann was born on the glorious day of March 18, 1941 in her grandmother’s house in Waurika, Oklahoma. Ann’s parents were James Calvin and Joyce Nataline Smith. However, much to the surprise of all that were present, there were 2 tiny babies to be born. Ann was not the first. Her twin sister, Carolyn “Jan” arrived 3 minutes earlier. The possibility of war was on the minds of most everyone at the time and jobs were hard to come by. Ann’s father was farmer and he was concerned that he would be drafted. He, along with some aunts and uncles were able to find jobs working in the copper mines of Globe, Arizona and, therefore, was exempt from the draft. After the war, the family settled in Duncan, Oklahoma and her dad started working for Halliburton Services. Ann graduated from Duncan High School in 1959 and married Donnie Womack soon after. Of that marriage, their first child, Phillip Craig, was born in Duncan the summer 1961. The couple moved to Memphis, Tennessee in 1962 and their second son, James Darren, was born in 1963. Once again, they relocated back to Oklahoma in 1967 and settled in Moore. Ann started working for the Wireline portion of Halliburton at that time and completed almost twenty years of service. In 1985, Ann was single and decided to move to Tucson, Arizona to be closer to her twin sister. She started another working career b joining Southwest Gas Corp. as a Human Resources Representative. She met her husband, Jack Hindman, and they married in 1987. After 10 years of service there, they moved to Southern Illinois to farm. That was time where Ann learned how to do many things such as planting big gardens, helping Jack with projects such as constructing additional rooms in their basement and concrete work to name a few. They really enjoyed their time there and were able to make many new friends and, in the process, she learned how to play dominoes and joined Red Hatters. After 16 years of country life, they decided that a good thing for them to do would be to move back to Oklahoma to be closer to Ann’s sons and their families. They had a wonderful life there and had a great time getting to spend time with all of the grandchildren and great-grandchildren. Ann was preceded in death by her father, mother and sister. She is survived by her husband, Jack, son, Craig (Robbie), Darren (Kim), granddaughters Haley Womack and Brandi Womack, grandsons Jimmy, Ryan, Joshua Womack, 7 great-grandchildren, and a niece, Jana Gwosdz (Bruce) and their children Stephen and Sarah. She is also survived by her wonderful step-daughter Christy Souter (Jerry) and step-son Kevin Hindman (Beth) and their daughters Catie and Clare. Anyone that knew Ann was very aware of how much she loved her family and how very proud she was of her children and grandchildren. She mentioned many times that her husband, Jack, was her soulmate. She never doubted for a minute that any one of her family would be there for her if she needed them. She stated many times that she was one of the luckiest people in the world to have the wonderful relationship she had with both daughters-in-law and step-children Christy and Kevin. A "Celebration of Life" reception will take place Friday, December 14th at 6:30 PM at 12905 Elrond Drive, Oklahoma City, OK 73170. A Memorial Service to honor Ann’s life will be held on Saturday, December 15, 2018 at 10:00 A.M. at the chapel of Moore Funeral and Cremation, 400 SE 19th St., Moore, OK 73160. Inurnment will follow at Duncan Cemetery in Duncan, Oklahoma.